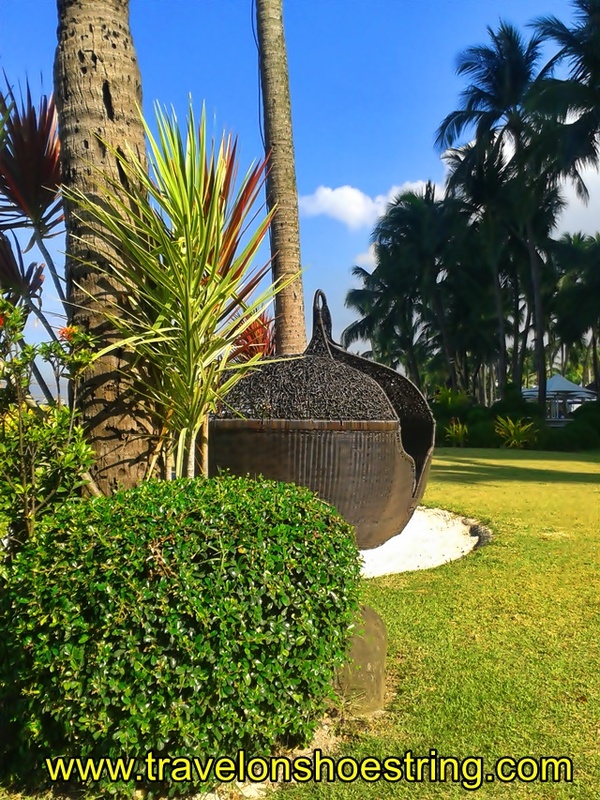 I was watching Kris TV's feature a while ago and was inspired to write about my family's favorite staycation and events place- Sofitel Philippine Plaza Manila. Check this space out. Best place to hold events hands down. Sofitel is our favorite hang out. I love it whenever my family and friends held there parties there. 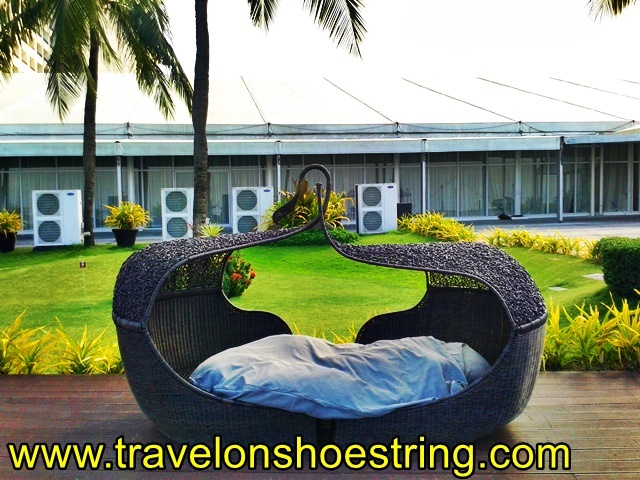 Sofitel Philippine Plaza Manila is an iconic 5-star luxury resort nestled in an expansive tropical setting close to the largest convention center, theaters, museums, government offices and the Mall of Asia. It is not only people who appreciates the beauty of nature! 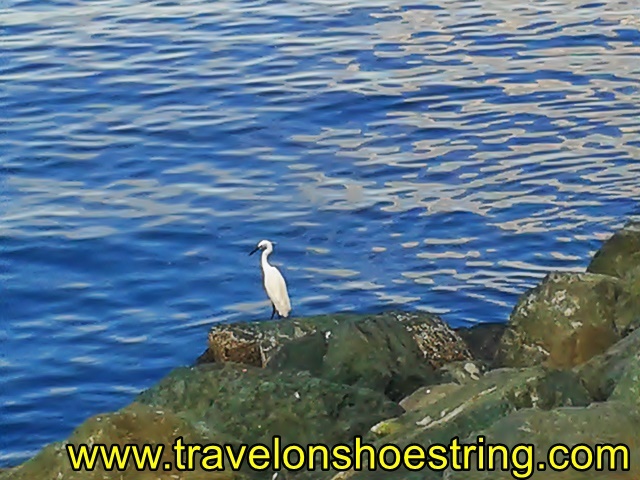 This bird is also seashore watching! 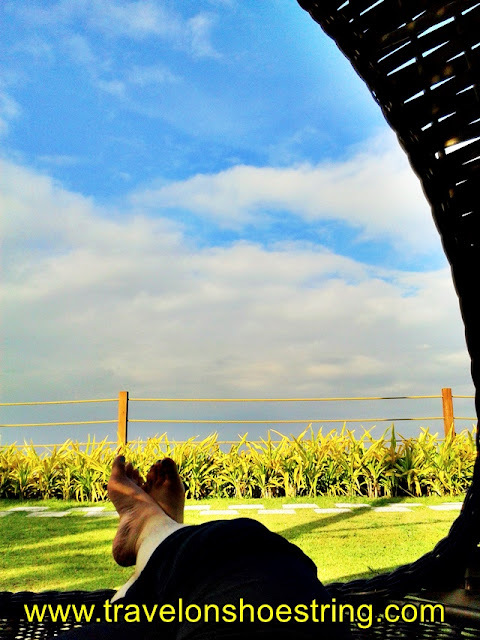 My favorite pass time... seashore watching at Sofitel! 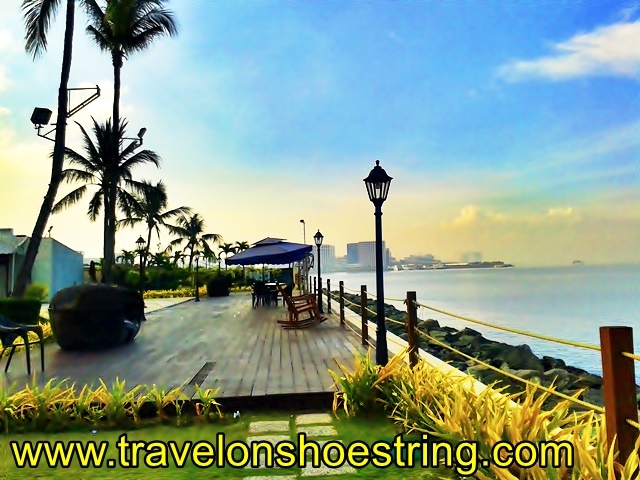 Sofitel Philippine Plaza is one of the favorite wedding destination in the Philippines. It is an ideal venue for holding weddings both big and small, with great flexibility in staging design. Whether it be a grand and formal occasion at the Grand Plaza Ballroom or the Tent, or a smaller, more intimate ceremony by the Seawall Garden, Sofitel’s team of experts are able to ensure a most unforgettable celebration that is flawlessly executed. Choose from elegant French celebrations and other themes that capture the imagination, as your big day is tailor-made to your unique tastes and preferences. There was a garden wedding that particular day. I wanted to take pictures but I don't want to invade and destroy their moment. 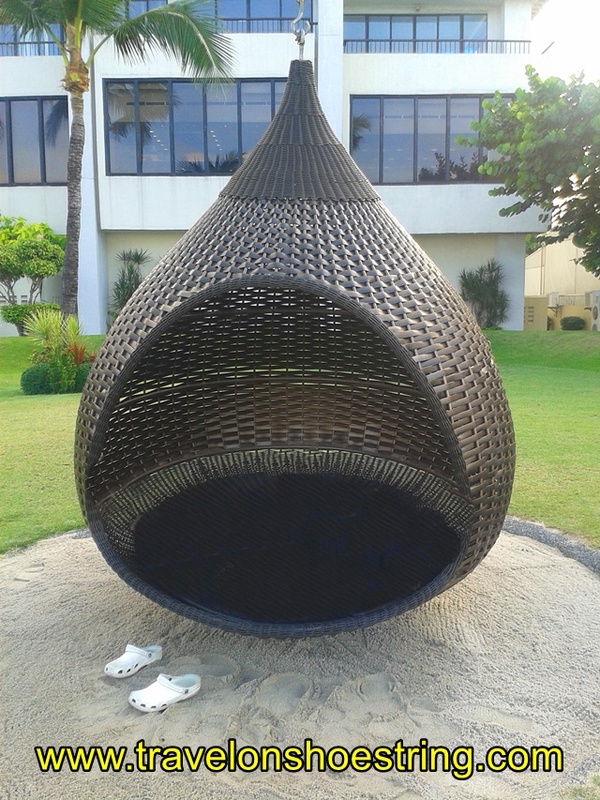 Play time under the sun in the sand at Sofitel. Swimming to the max to beat the El Niño heat! Cool off at Sofitel's swimming pool! With Sofitel's track record you are assured that your event will be great. Its memory will be etched in your mind for a lifetime. Our friend L celebrated her birthday at Sofitel's Grand Plaza Ballroom. It was so much fun! Our other friend Hans on the other hand treat us at Sofitel's Sunset bar. Almost every year I get invited by PMAP (People Management Association of the Philippines) to cover its event in Sofitel. And even without anything in return I always make sure to come, simply because I love PMAP and Sofitel. On top of that, my brother and I absolutely love our staycations at Sofitel. I also love our dinner at Spiral ( Sadly,the gc I bought lapsed when I was not yet in Manila, I hope the admin will consider my request) and the wonderful selections at Le Bar. 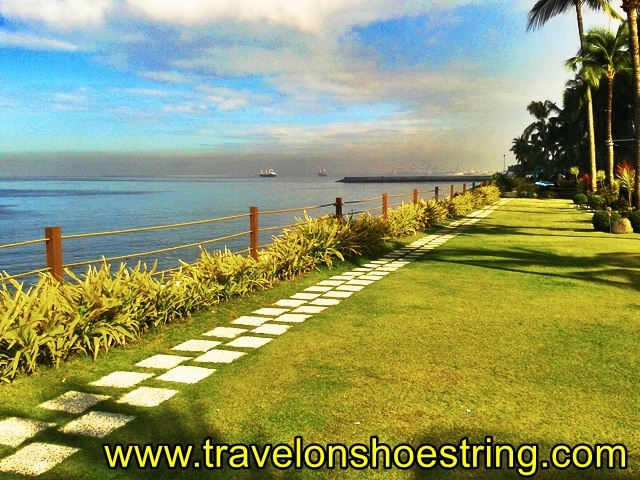 So the next time you have an event just search for #VenuerificPhilippines to select the best venue for your event. What is Venuerific and how does it work? In addition, they provide a concierge service to guide you through the above. How do you create an account and sign up with Venuerific? Go to their homepage, click on Sign Up and enter your email address and password. You will then receive an activation email from our system. Click the link on the activation email to activate your account. How do I login to Venuerific? Enter your email address and password in the Log In page and then click “Sign In”. Can I login using Facebook? Yes. You can login using your Facebook account. You can search for the perfect using the search botton or through its online concierge.